Opt for a superior product backed by continuous innovation, exceptional print capabilities, and fast turnaround time, plus the assurance that comes with partnering with a dependable and responsive supplier. Our ultra modern U.S. manufacturing and fully integrated recycling facilities ensure you don’t need to import bags to get a cost-effective, high-quality product—all with faster service with shorter lead times. 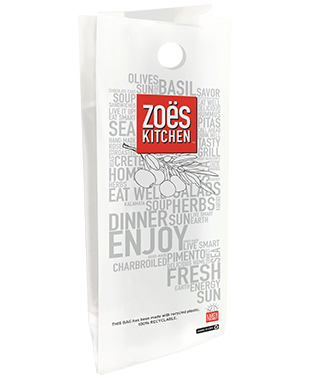 Leaders in the foodservice industry choose our products because we offer competitive pricing. With our own recycling facility and guaranteed supply, Command can pass huge savings on to you. We stay on top of the latest technology so you don’t have to, creating the best environmentally friendly bags at the lowest prices. 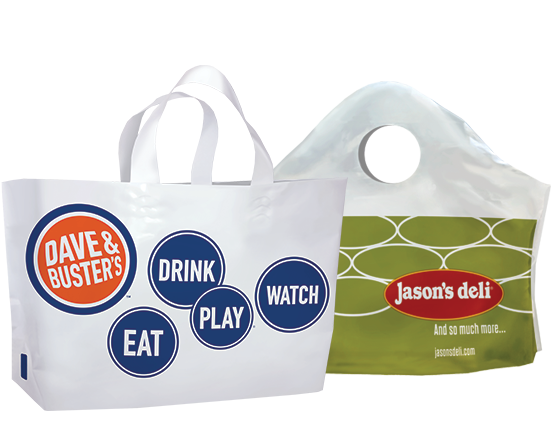 Whether you need process-printed bags or big, bold graphics, our manufacturing plant can handle it. Work with a reliable customer service and support team so you can focus on moving your business forward. Our open organizational structure gives us the agility needed to quickly respond to your rapidly changing needs. Forget long lead times. We can tackle your quick turnaround and customized requests. EZ-open handle makes this bag easier and faster to load than any other carryout bag. Its specially engineered flat base allows it to stand on its own without tilting the bag’s contents. Comfortable, easy-to-carry loop handles give this bag the look of a traditional tote. The wide, flat base allows it to stand on its own and carry multiple items. 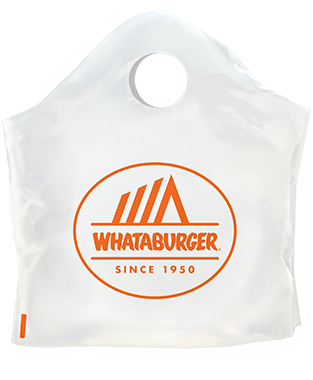 Available in a variety of sizes and shapes with or without die-cut handles, merchandise bags are a low-cost way to turn any product into a convenient takeout item. Back-of-house solutions are also available. Add-on options include barcodes, gussets, and headers. 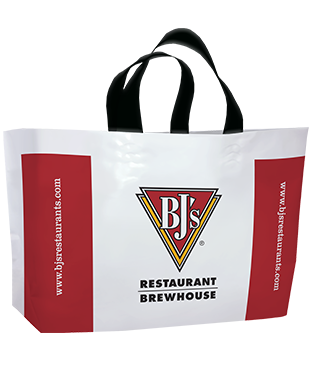 Strong strap handles make this easy for customers to carry, and the expanding sides give it versatility for a wide range of product shapes, sizes, and quantities. *References: Environmental Defense Fund Paper Calculator, papercalculator.org. Dept. of Mechanical Engineering Mechatronic Engineering & Mfg. Technology (Cal State University, Chico). 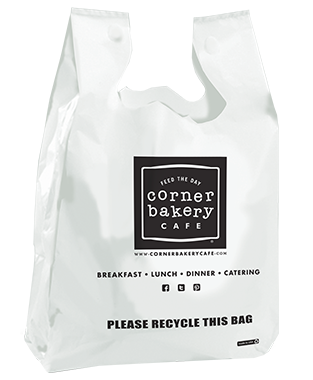 Comparison based on 25,000 paper bags (30% recycled content - 12" x 7" x 17") and restaurant plastic 16” - 20” bags. Get the latest information, including bag ordinance updates, and be the first to know about new products. Go beyond bags and partner with a team committed to bringing you the best product at the lowest price.